DJ Xris SMack! at the Combichrist Wednesday 13 AfterShow party at The Hard Swallow! 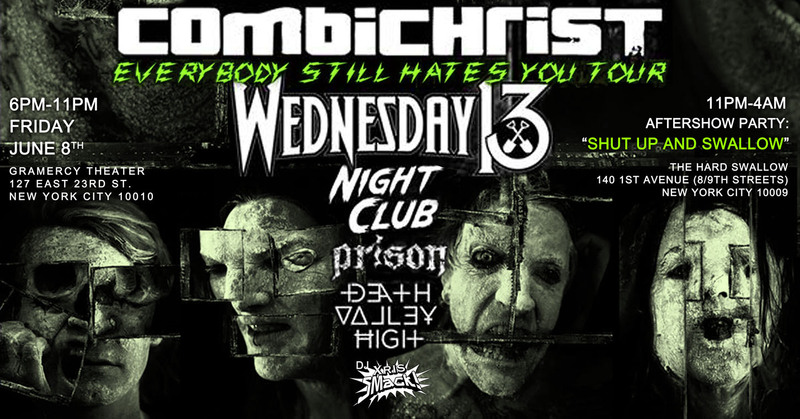 :Combichrist, Heavy Metal, Industrial, industrial Metal, industrial Music, Metal, Wednesday 13, Xris SMack!